But the placebo effect is much more than just positive thinking. When this response to a fake treatment occurs, many patients have no idea that they are responding to what is essentially a "sugar pill." Placebos are often utilized in medical research to help doctors and scientists discover and better understand the physiological and psychological effects of new medications. It is important to note that a "placebo" and the "placebo effect" are different things. The term placebo refers to the inactive substance itself, while the term placebo effect refers to any effects of taking a medicine that cannot be attributed to the treatment itself. In medical research, some patients in a study may be administered a placebo while other participants receive the actual treatment. The purpose of doing this is to determine whether or not the treatment has a real effect. If participants taking the actual drug demonstrate a significant improvement over those taking the placebo, the study can help support the claim for the drug's effectiveness. 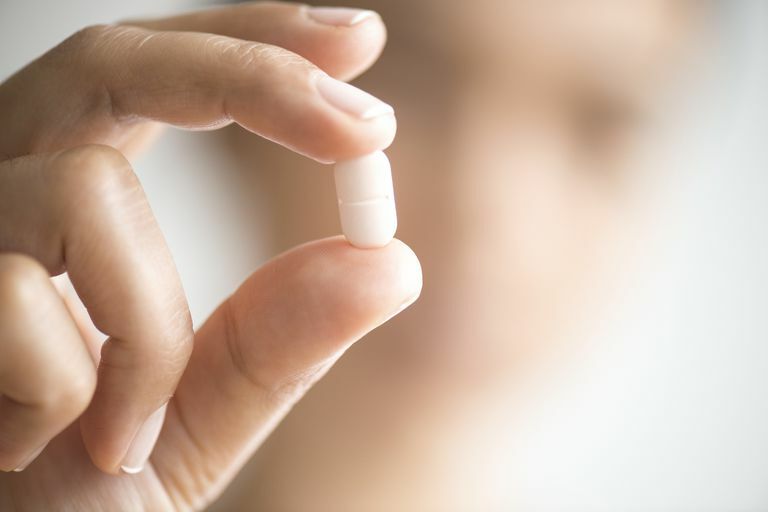 One study suggested that some people may possess a genetic predisposition to respond more strongly to placebos. In the study, patients who either had high or low variations of a gene that controls dopamine levels in the prefrontal cortex of the brain had differing responses to a placebo. Those with the high-dopamine version of the gene were more likely to experience a response to a placebo treatment than did those with the low-dopamine version of the gene. Research has found that people with the high-dopamine version of this gene tend to also have higher levels of pain perception and reward-seeking. When testing out new medications and other treatment approaches, scientists are interested in learning about whether this new treatment has value for treating an illness that outweighs any potential risks. Through their research, they want to learn if the treatment is effective, the sort of side effects it might produce, which patients may benefit the most and whether it is more or less effective than other treatments that are already available. For example, let's imagine that a participant has volunteered for a study to determine the effectiveness of a new headache drug. After taking the drug, she finds that her headache quickly dissipates, and she feels much better. However, she later learns that she was in the placebo group and that the drug she was given was just a sugar pill. Even though placebos contain no real treatment, researchers have found they can have a variety of both physical and psychological effects. Participants in placebo groups have displayed changes in heart rate, blood pressure, anxiety levels, pain perception, fatigue, and even brain activity. These effects point to the brain's role in health and well-being. One possible explanation is that taking the placebo triggered a release of endorphins. Endorphins have a structure similar to morphine and other opiate painkillers and act as the brain's own natural painkillers. A prescribing physician's enthusiasm for a treatment can even impact how a patient response. If a doctor seems very positive that a treatment will have a desirable effect, a patient may be more likely to see benefits from taking the drug. This demonstrates that the placebo effect can even take place when a patient is taking real medications to treat an illness. Conversely, individuals can experience negative symptoms as a response to a placebo, a response that is sometimes referred to as the "nocebo effect." For example, a patient might report having headaches, nausea or dizziness in response to a placebo. The placebo effect can have a powerful influence on how people feel, but it is important to remember that they are not a cure for an underlying condition. By using placebos in research, scientists are able to get a better idea of how treatments impact patients and whether new medications and treatment approaches are safe and effective. Eippert F, Bingel U, Schoell ED, et al. Activation of the Opioidergic Descending Pain Control System Underlies Placebo Analgesia. Neuron. 2009;63(4):533-543. doi:10.1016/j.neuron.2009.07.014. Hall, KT. et al. Catechol-O-Methyltransferase val158met Polymorphism Predicts Placebo Effect in Irritable Bowel Syndrome. PLOSOne; 2012. https://doi.org/10.1371/journal.pone.0048135. Howick, J, et al. Are treatments more effective than placebos? A systematic review and meta-analysis. PloS One. 2013;8(5);e62599. doi:https://dx.doi.org/10.1371%2Fjournal.pone.0062599. Hróbjartsson ACB, Gøtzsche PC. Placebo interventions for all clinical conditions. Cochrane Database of Systematic Reviews. 2010. doi:10.1002/14651858.cd003974.pub3. Weiner IB, Craighead WE. The Corsini Encyclopedia of Psychology, Volume 3. Hoboken, NJ: John Wiley & Sons. 2010.